The first Stockholm Hardware Podcast episode was launched on December 7th 2016. In this episode Sune Kaae meets Ali Mosavian who is the CTO at Watty.. In this episode Sune Kaae meets Lukas Tallund who is Operations Manager at Volumental. In this episode Sune Kaae meets Petra Sundström who is Director of Idea & Innovation Management at Husqvarna Group. In this episode Sune Kaae meets Mario Sanchez who is the co-founder Botanium. 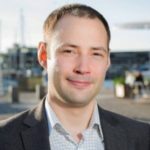 In this episode Sune Kaae meets Niclas Johansson who is the CEO and a co-founder at vrsverige.se, a content and community site focused on VR and AR. In this episode Sune Kaae meets Thomas Tromholt who is a product developer at Frankly, a product design & engineering agency. Thomas later became co-organizer for Stockholm Hardware season 3. 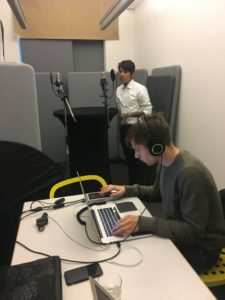 In this episode Sune Kaae meets Fredrik Timour who is the CEO & Founder of Neue Labs, a fashion tech platform startup. Fredrik was also a co-organizer of Stockholm Hardware Season 1. In this episode Sune Kaae meets Ellen Sundh who is a creative technologist focused on physical computing and Internet of Things. Ellen was also a Stockholm Hardware co-organizer during season 1 and 2. In this episode Sune Kaae meets John Sjolund who has built his own pancreas and put his diabetes on autopilot. 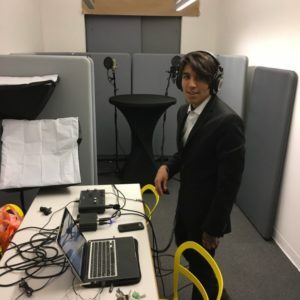 In this episode Sune Kaae meets Sina Amoor Pour who is a co-founder of biohacking group BioNyfiken and a board member of Stockholm Makerspace. In this episode Sune Kaae meets Mikael Beving who is the founder of Toolspace, a not-yet-launched work- & playground for people who wants to create physical things. In this episode Sune Kaae meets Jan-Åke Lindqvist who is the founder and CEO of Wireless System Integration, a Stockholm-based engineering consultancy focused on IoT. In this episode Sune Kaae meets Linda Krondahl who is Co-founder and CEO of Things, the Stockholm-based co-working space for hardware statups. The team is Haza Newman, Kasper Martinell and Daniel Lugn on recording & production. Sune Kaae on interviews. Sune was experimenting with podcasting during the Summer and Autumn of 2016 with the hope of launching a podcast for Stockholm Hardware. Here are some notes on that process. On November 15th we recorded more episodes. On October 18th we did recordings at “the studio” at Things for what will likely be the first properly released episodes of Stockholm Hardware. Release is planned for early December. June 29th 2016: podcast pilot recording #4 with Christian Klemetsson of Device Radio (via Skype). June 25th 2016: podcast intro Audio (version 1). June 22nd 2016: podcast intro Script (version 1). Let me know what you think! sunekaae@gmail.com or @sunekaae.